I’m a big, big fan of Diablo 2. It’s just good, stupid fun that doesn’t take too much thought and preparation and stuff. Also, it’s just fun to hack crap into tiny little bits. But to be honest, I haven’t played a good Diablo 2-style game since… well… Diablo 2. And I don’t like the current Blizzard enough to buy D3, so I decided to check out Path of Exile during its open beta weekend. I only played for a few hours, but here’s what I got out of it. First, I’ve got to comment on the presentation of the game. The only way it could be more like Diablo 2 is if it was Diablo 2. Everything is appropriately grimdark, enemies splatter nicely, and tons of concept art looks like it was taken from Blizzard themselves. Sticking so close to the inspiration does have its disadvantages, though. Since everything is a bunch of grey and brown and red (lots of red), it’s not very interesting to look at and it takes a toll on your eyes after a while. The starting zone was particularly bad about this and the every-few-seconds lightning wasn’t helping. As far as the gameplay goes, it’s still very much Diablo 2, except more modernized and with a few cool twists. My biggest ‘hell yeah’ moment was probably discovering how flasks/potions worked. The developers at Grinding Gear Games realized that going back into town so often is boring and made your potions come back after killing enemies. It encourages you to hunt things down if you’re running low on supplies, rather than popping a scroll of town portal and hightailing it out of there like a wimp. Speaking of scrolls, they’re back. However, they’re not just for your own use anymore. Instead of money (because let’s face it, nobody used money in Diablo 2 outside of repairs and everyone was a millionaire), items are bought and sold for scrolls and other assorted item enhancement trinkets. This is particularly cool because it makes sense in-universe as well as just being flat-out more useful in gameplay. You’re a bunch of exiles eking out an existence in the middle of nowhere and it’s not like you’ve got some fancy currency, so just use some scrolls and armor-boosting stuff. It would be absolutely criminal of me to finish this thing without talking about the gargantuan skill tree the game presents you with. Taking a page from Final Fantasy X and Digital Devil Saga 2 (probably the former, moreso than the latter), Path of Exile gives you a monstrous grid. Each class starts in their own specialized area of the grid (rangers are near dexterity, witches near intelligence, so on so forth), but nothing short of a metric ton of dedication and a burning hatred for what people consider normal will stop you from making an intelligence-using marauder or the world’s most dextrous templar. It’s a really cool, if kind of overwhelming if you zoom out, concept. A lot of the stuff is just basic damage increases or health buffs, but every once in a while you’ll find skills that add a chance of knockback to your attacks or make you immune to bleeding. It seems like a lot of the fun in this game will be seeing what kind of crazy things you can pull off. 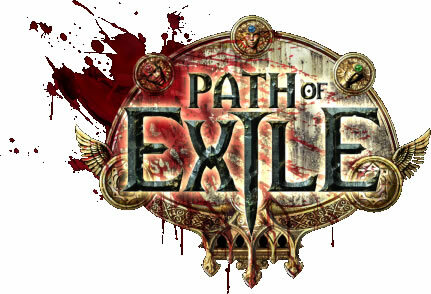 Path of Exile is a game that you play when you’re bored of all your other games. I can’t see it just becoming someone’s ‘main’ game. Truer words have not been spoken, anonymous-due-to-my-fault NA server commenter. Since it’s free, go check it out when it hits open beta, but I can’t encourage spending too much time or money on it unless you don’t plan on getting Diablo 3 or Torchlight 2 and need that hack’n’slash hole in your heart filled with the severed limbs of your enemies. As always, thanks for reading and have a good’un. This entry was posted in Video Games and tagged path of exile first impressions, path of exile open beta weekend, path of exile stress test. Bookmark the permalink.